Janice holds a Graduate Diploma in Art Therapy (DTATI) from the Toronto Art Therapy Institute and holds registered status (RCAT) with the Canadian Art Therapy Association. She is a Registered Psychotherapist with the College of Registered Psychotherapists of Ontario (CRPO) and a Professional member of the Ontario Association of Consultants, Counsellors, Psychometrists and Psychotherapists (OACCPP). 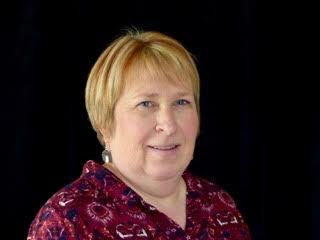 Janice has been working in a variety of agencies and private practice since 2001, and has recently retired from being an educator for the past 30 years in the secondary school system in the area of Visual Arts and Special Education. With completed graduate level studies in Eye Movement Desensitization and Reprocessing (EMDR) therapy and Cognitive Behavoioural Therapy (CBT), she continues to update her qualifications in Trauma informed practices. Art therapy combines art and psychotherapy in a way that provides for a safe and gentle way to express the inner self. The artwork becomes the container for intense feelings, making it possible to step back and address the self. "I have witnessed first hand the power of art to transform by empowering clients to take control over their issues and challenges." Art therapy is especially effective for those who may find it difficult to verbalize emotions surrounding trauma. Clients do not need any art experience or skill, just a willingness to express through the art. Janice works with children, adolescents and adults. In particular, her experience includes working with individuals coping with Post Traumatic Stress Disorder, all forms of abuse, domestic violence, family breakdown, as well as self-harming behavior. She supports individuals with mental health challenges such as depression and anxiety. Janice has specialized experience working with people with special needs, including those individuals on the autism spectrum and those with developmental and learning disabilities. She also works with individuals in the area of using art to promote overall wellness. "In addition to my work as an art therapist and educator, I continue to learn about and experience art as a means of expression by taking ongoing classes in art. My new and evolving passion is encaustic painting (painting with wax). I also thoroughly enjoy gardening, cooking and travelling."